Recover Data from Recycle Bin Even If It Has Been Emptied. If you have emptied the data from recycle bin, there still might be a way to recover it before your lost data get overwritten. You need to act quickly if any of the following scenarios take place. Deleted files bypass Recycle Bin when they exceed in size as compared to the size of Recycle Bin. You end up emptying the recycle bin either on purpose or by accident. The files/folders you needed in the Recycle Bin have been accidentally deleted because of one wrong click. You ended up using a third party tool to delete the files. Files deleted by Shift+Delete keys will surpass the Recycle Bin, it could lead to permanent deletion. AnyRecover reconstructs every file and use it accordingly. It knows so many file types that it can piece together almost all deleted files. Instantly rescue folders deleted from Recycle Bin and also restore files from external hard disks, flash drives, USB drives, etc. You can preview the file first before you select it and recover it on your drive. The scan tool does not have any size limits. Even if you have hard drives in TBs, you can get lost data recovered. DOC/DOCX, XLS/XLSX, PPT/PPTX,PDF, CWK, HTML/HTM, INDD, EPS, etc. Such as Archives (ZIP, RAR, SIT, ISO etc. ), exe, html, SITX, etc. First step - Power Off : Turn off your computer or storage device to minimise further damage. Turn off the power. If you notice weird noises coming from your hard drive, it might indicate serious damage. You should turn off the power. DO NOT DRY IT OUT. If the drive has been damaged by water, avoid drying it out yourself. It can cause corrosion and damage the media on the drive. 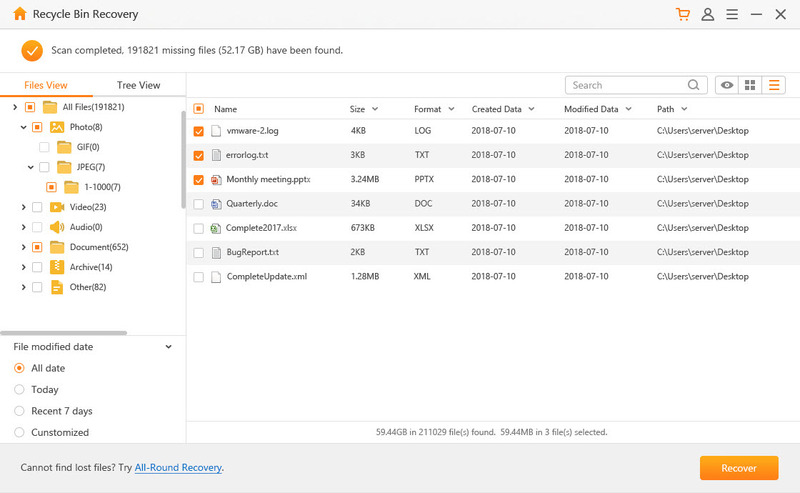 If the files are missing or have been reformatted, you can use AnyRecover - the DIY Recycle Bin recovery tool to get it back again. 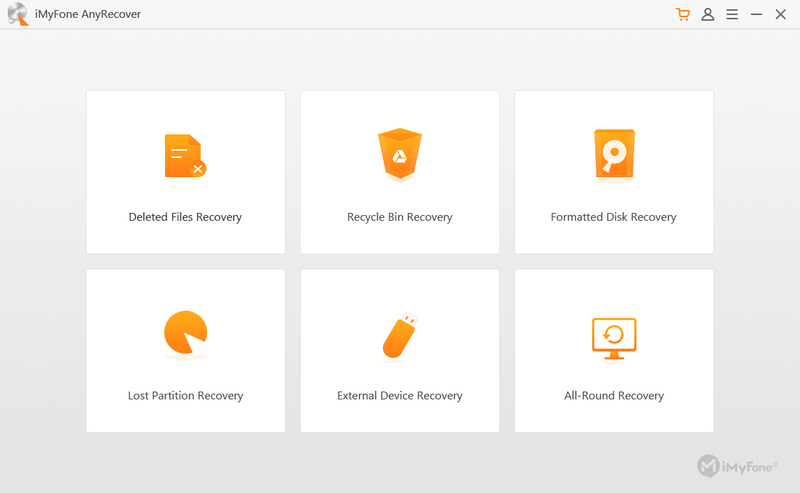 Download, install and launch AnyRecover software and choose the “Recycle Bin Recovery” mode. Select the file types, then start scanning process by clicking on “Scan”. The handy Preview option lets you view the scanned files. 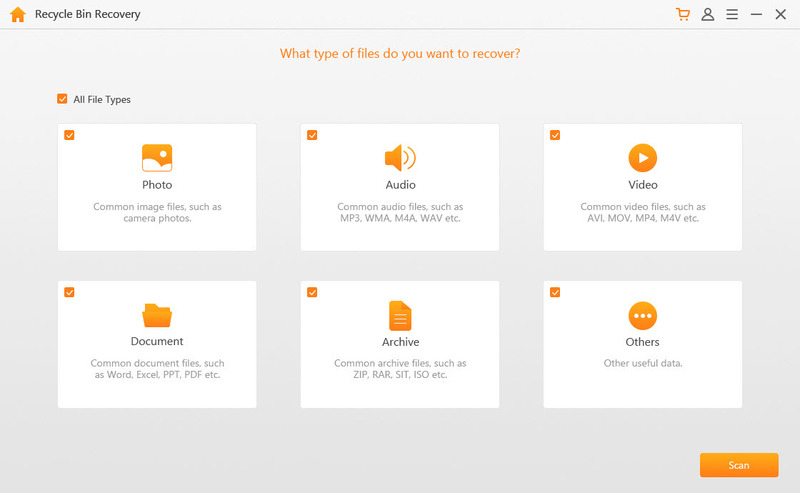 So you can choose the accurate files that you want to recover. Click “Recover” button to retrieve the lost data. AnyRecover recovered my data from the recycle bin after emptying, amazing! I accidentally deleted over 3000 photos and emptied Trash on my mac. Thanks to Anyrecover, I got all of them back! I am amazed of how good this product is! This data recovery software is really good for my Mac, it recovered all my deleted files, many thanks! Broken Hard Drive? Easy Way to Recover Data Safe and Sound!